Four years ago, Mark McLean’s son had a request for his dad: to build an ice rink in the family’s backyard. 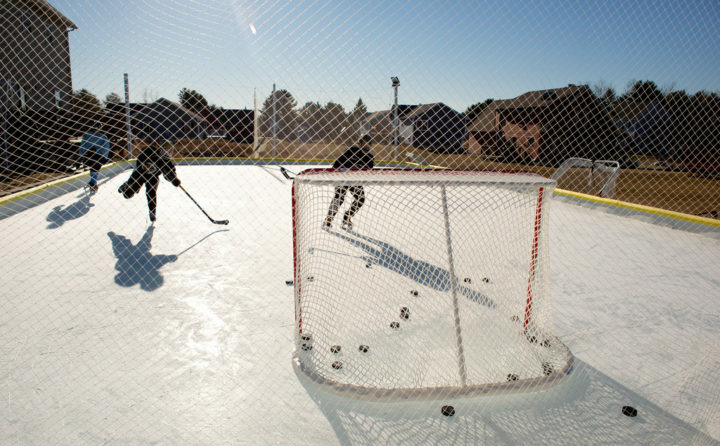 McLean agreed and started off with a homemade rink framed with wooden boards. The rink proved a hit, but sloping terrain and the shortcomings of a homemade rink made for some “trials and tribulations” in the first couple years, McLean said. So he upgraded. McLean bought a used ice rink kit that’s easier to work with and leveled more of his backyard on Rolling Meadow Drive, off Mt. Hope Avenue, to create a large, flat area. This winter is the second year the family has used what is now their 36-by-68 foot rink. McLean’s son, Michael, 13, and his two buddies, Miles Randall and Chase Caron, practice hockey on it whenever they can. Michael McLean (center), 13, plays hockey with his buddies Chase Caron (far right), 10, and Miles Randall, 12, on his family's ice rink behind their home on Rolling Meadow Drive in Bangor. Michael McLean and his friends Chase Caron and Miles Randall play hockey on his family's 36-by-68 foot ice rink behind their home on Rolling Meadow Drive in Bangor. 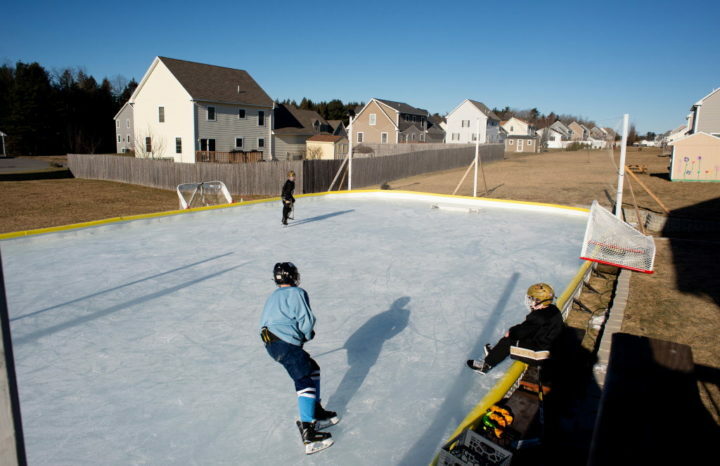 For four years Michael's father, Mark, has been putting an ice rink in their backyard. 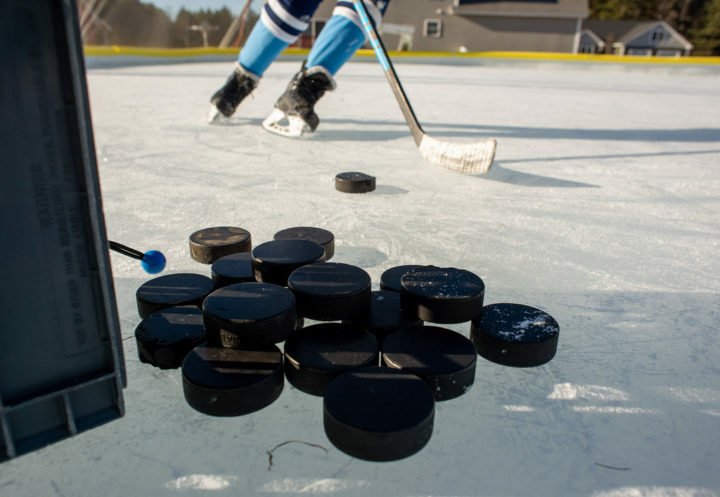 The first two seasons he built a wooden frame for the rink, but then found a deal on a used rink kit. McLean said the kit is easy to install and maintenance free. 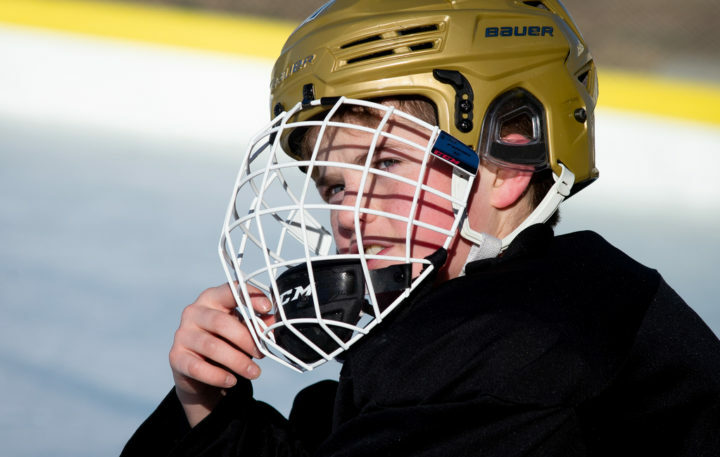 Michael McLean takes a short break while playing hockey with his friends on his family’s ice rink Thursday in Bangor. Michael McLean and his friends Chase Caron and Miles Randall have fun playing hockey Thursday on his family’s ice rink behind their Bangor home. 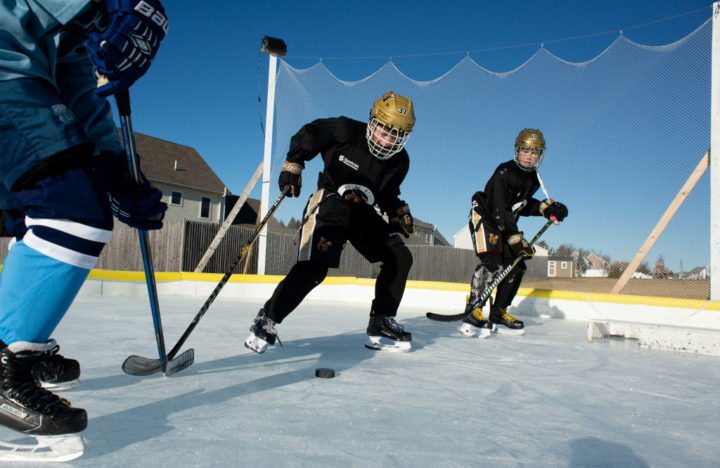 An ice rink at home is a winter of fun for the McLean family in Bangor. 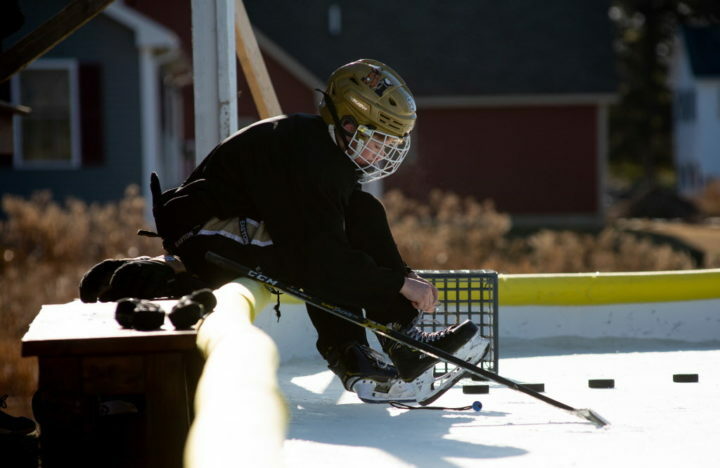 Michael McLean tightens up his laces while playing hockey with his friends on his rink at home on Thursday.